Whitworth University trustees on Friday unanimously approved a bold 10-year vision for the institution and a strategic plan to achieve that vision. The Whitworth 2021: Courage at the Crossroads vision and strategic plan call for the university to pursue its historic mission to provide an education of mind and heart and also respond with courage to internal and external forces that offer unprecedented challenges and opportunities. "Trustees have joined with other members of the Whitworth community to chart an exciting course for the institution's future," says Walt Oliver, chair of Whitworth's board of trustees. "Whitworth has been on a very positive trajectory and we are ready to build on that success. 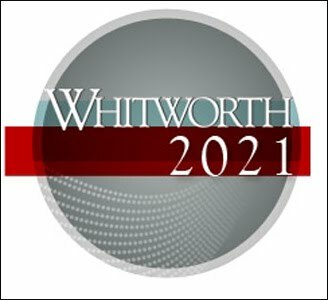 I am confident that the Whitworth 2021 plan positions the university to provide an excellent education for our next generation of students." Whitworth President Beck Taylor says the university sought to engage all of its internal and external constituents in creating a vision that is ambitious yet achievable and that also is flexible yet provides a clear direction for the future. Hundreds of alumni, parents, supporters, community partners, faculty, staff and students provided input on the Whitworth 2021 plan through a survey and through a number of community and town hall meetings. "A clear consensus emerged among our constituents that gives energy and purpose to the work ahead," Taylor says. "Whitworth is at a crossroads that calls the university to engage its distinctive mission, its educational enterprise and its external environment in courageous ways. We must stay true to the immutable values that have guided Whitworth for 120 years while we tackle the challenges and opportunities before us. And we will." After a decade of steady growth that contributed to expanded facilities, faculty and other resources, the Whitworth 2021 vision and strategic plan calls for stabilizing undergraduate enrollment and investing in the depth and quality of students' learning experiences. Students will be challenged to extend their learning beyond the traditional classroom – through internships, study abroad, research and service learning. In a world that is increasingly diverse and interconnected, Whitworth will cultivate in its students the intercultural competencies that will enable them to thrive in diverse learning, working and living environments. And in a world with ever more complex problems, interdisciplinary programs will equip students to link content and ideas from multiple fields in the context of an integrated liberal arts curriculum that prepares graduates for lifelong learning, professional development, and community service. "Everything in the plan is geared toward making the Whitworth experience better for the students," says Melinda Leavitt, executive vice president-elect for the Associated Students of Whitworth University and a student representative on University Council, Whitworth's chief planning group. "Students are mostly concerned with enrollment, the overall feel of the campus, and the upcoming facilities projects. The plan has given answers to students' questions regarding stabilizing enrollment and the building of much needed and desired facilities." The Whitworth 2021 vision and plan also calls for continuing strategic growth in programs for graduate and non-traditional adult learners, investing in new professional development and enrichment resources for faculty and staff, and expanding the university's network of constituents and supporters as Whitworth elevates its position among the finest Christian liberal arts universities in the nation. "The plan is not about simply 'staying the course,' but about envisioning directions and initiatives that will invigorate the academic and intellectual life of the campus community over the next decade," says Richard Strauch, professor of music and president of the faculty. "Without compromising our commitment to academic excellence, the plan proposes that we broaden our thinking and imagination with respect to reaching beyond the confines of our physical campus. The increased emphasis on, and support for, service learning, international study opportunities, faculty scholarly production, continuing education, and graduate programs will require that we engage the community and the world in a more consistent and sustained fashion." The Whitworth 2021 vision and strategic plan can be viewed online at: www.whitworth.edu/whitworth2021.